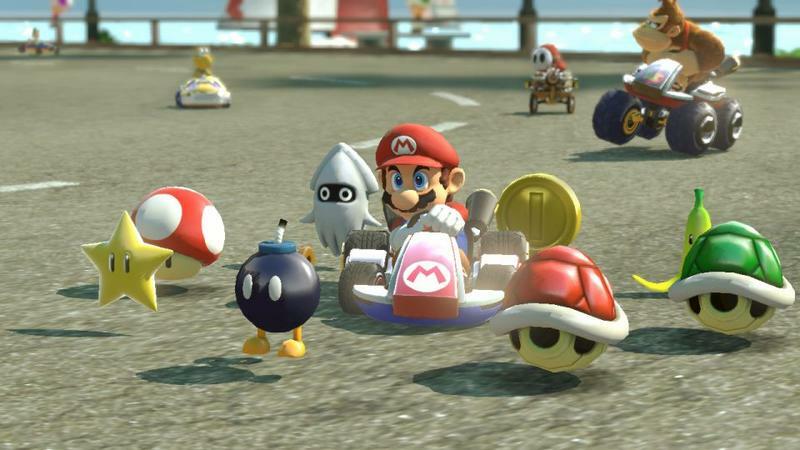 It looks like some files found within Mario Kart 8‘s data suggest that gamers are in store for DLC in the near future. Not counting the Mercedes karts, of course. It starts with a thread on MarioKartWii.com posted by a user named Morton. That opening post includes this image. User MrBean35000vr then followed up with a post several pages in the thread providing a little clarification. The “DLC” in each name can’t really be mistaken. We haven’t located the 3D versions that the menus use; but we haven’t located any of the 3D cup icons in the first place, so there’s no saying they don’t exist. Mind you, in their current form, these icons are missing some files that complete cups have, namely some textures used for effects and similar. When we had the game render these, we had to use the mushroom/flower cup’s effects, which might have caused small drawing errors. The other files might be downloaded someday if these cup icons are to be used for something! Now, are these just placeholders? Are we misreading information? Is the whole thing a dupe? I have no idea. I do know that Nintendo’s been open about what their amiibo line will bring to the games that support it. When you buy one of their figures, you will unlock content in each compatible game. If that content in Mario Kart 8 is actual tracks and cups, I could see a whole lot of fans lining up to buy the figures. For now, take all of this with a grain of salt.